The idea of a plumbing emergency can be unnerving but knowing what to do when one develops can help alleviate stress. These tips from Sunshine Plumbing & Gas can help any home or business owner know what to do in the waiting period between discovering the emergency and when a plumber arrives. When a plumbing issue emerges, it can be difficult to decide whether the situation is an emergency or a nuisance. Start by asking yourself the following questions. Can The Plumbing Issue Wait? The type of plumbing issue often dictates whether you can wait or need to call the residential plumbers at Sunshine Plumbing & Gas immediately. Having no water in a home or business during the summer is an emergency, whereas a clogged toilet may be a nuisance that you can wait to fix, so long as another toilet is available for use. Another factor to consider is whether leaving the issue for any length of time will cause further damage. Is It Your Responsibility To Fix The Issue? If you can’t find the source of a plumbing emergency, the issue may not be your responsibility to repair. The local water company and/or utility provider can tell you whether the plumbing issue is yours to fix. An issue with the city sewer system would be the city’s responsibility to repair. Can You Shut Off The Water? Shutting off the water generally helps mitigate a plumbing issue, whether the water is shut off from a specific shutoff valve or at the main water line. Any time you’re unable to shut off the water, it’s recommended to call a professional plumber. Because many types of plumbing emergencies can escalate to a big problem, Sunshine Plumbing & Gas provides 24-hour emergency service. Our plumbers respond promptly to any situation with plumbing repairs Ocala residents can trust. Hot water is a necessity for many daily activities so when the water runs cold, it often becomes a major issue. The plumbers at Sunshine Plumbing & Gas can quickly troubleshoot and diagnose any issue with a hot water heater and provide the necessary repairs. Additionally, if the water temperature suddenly spikes to a hotter-than-usual temperature, it’s a plumbing emergency. Extremely hot water can scald the skin and is usually caused by a malfunctioning hot water heater. 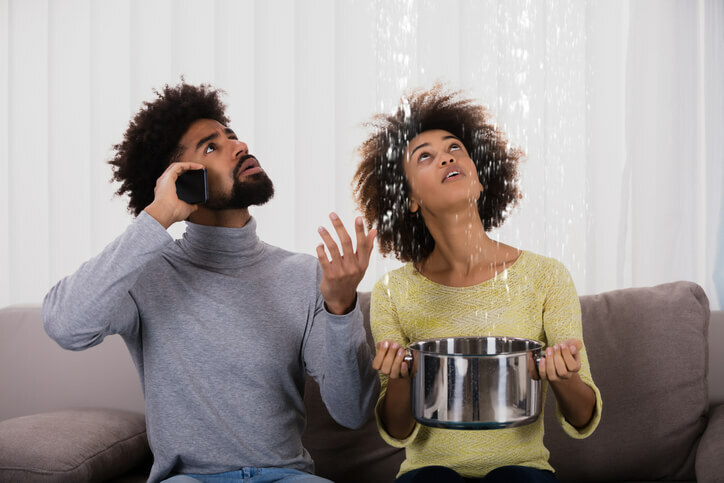 Flooding in a business or home can be caused by a burst pipe, backed-up drain, overflowing toilet, or another plumbing issue. It quickly becomes an emergency situation because of the volume of water often involved. The longer the water flows, the more structural damage the home or business could suffer. If you discover any flooding, call Sunshine Plumbing & Gas right away to speak with a plumber Ocala, FL, residents know and trust. Clogged drains are a common source of plumbing problems. While most clogs are preventable — don’t pour or put dense materials such as coffee grounds down the drain — others can require professional help. Start by turning off the water supply either through the fixture’s water shutoff valve in the home or business or at the main line. Next, look for small leaks that can be stopped — or slowed — with buckets, rags, and/or towels. Plumber’s tape can be useful in patching up a small leak until Sunshine Plumbing & Gas arrives. Open all drains and spigots in the home or business, including outside spigots. This helps drain any remaining water from the pipes, even after the water supply has been shut off. If plumbing emergencies were convenient, they wouldn’t be considered emergencies. But one thing our customers never have to worry about is inconveniencing our plumbers with an emergency. No matter the circumstances, we strive to provide high-quality service and repairs the first time. Contact Sunshine Plumbing & Gas today for all your plumbing needs!